Baroque Rose Print Chiffon Top. 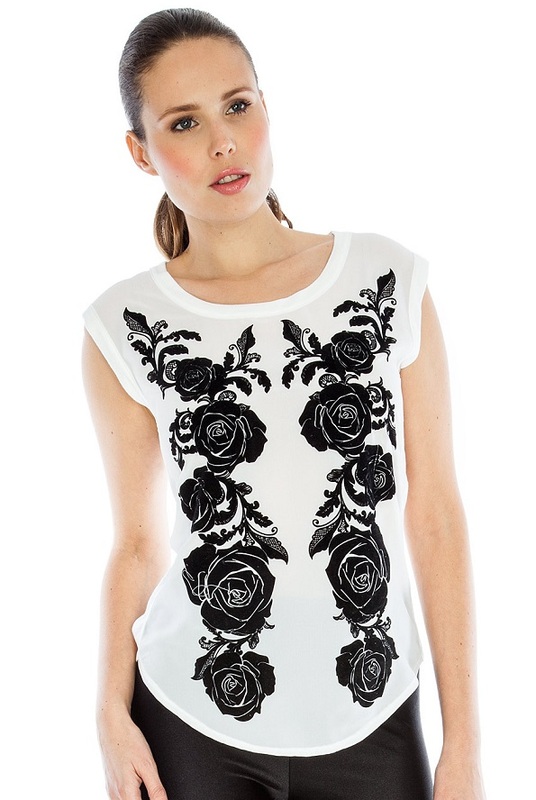 A white, sleeveless top with a contrasting black baroque rose print, soft chiffon front and a jersey style back. A great top for casual wear or can be dressed up for a night out by adding a pair of leggings and heels.